We’ve tested a handful of Mekk road bikes in the past two years since they launched. The company was founded by Mark Edwards and Ken Knight, two chaps who have years of experience in the cycling industry between them. 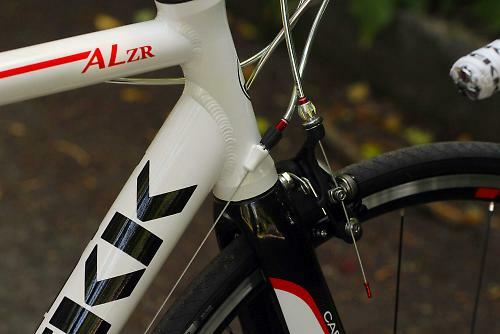 They decided to work together on offering a range of well-priced road bikes, and by all accounts they’ve succeeded. The carbon 3D Potenza SL5.5 impressed, as did the Pinerolo AL 1.0, which is more relevant to this article. The frame is made from a single butted alloy tubeset with a 3K carbon fibre fork, with alloy steerer, slotted into the 1 1/8in head tube. With an eye on versatility, the bike is fitted with eyelet mounts for mudguards and racks, so it could easily be pressed into touring or commuting service. The frame is offered in five sizes from 47 to 59cm. It’s a smart looking bike with neatly finished welding. 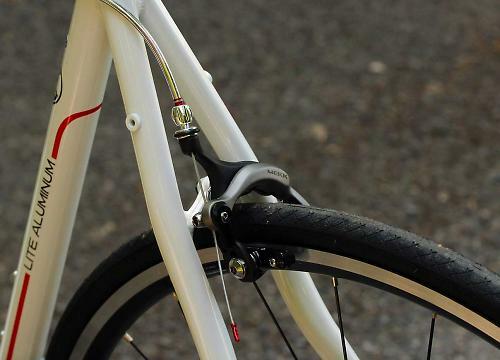 Cables are routed externally, with cable stops on the side of the head tube. There’s two bottle cage mounts, the rear stays are nicely curved providing loads of heel and tyre clearance, and the carbon bladed fork is a neat addition. 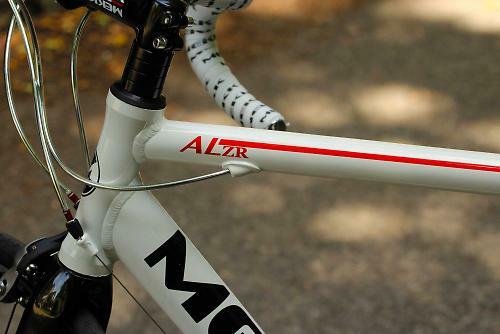 Mekk have given the AL ZR a mix of Shimano drivetrain, with Claris 8-speed shifters and brake levers with a matching front mech and an upgraded Sora rear mech. 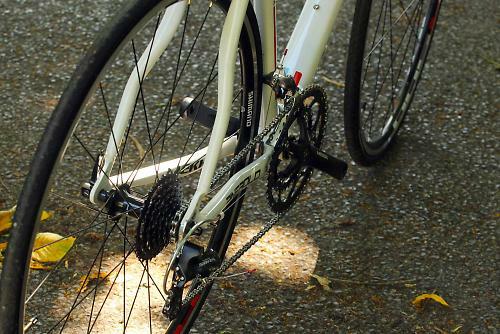 The chainset is Mekk’s own design with a compact 50/34 chainring setup. 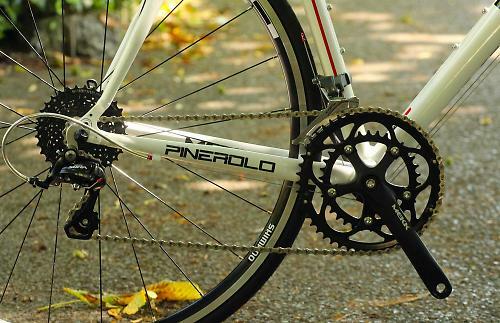 The rear 12-32t cassette offers a large range of gears. The bike rolls on Shimano R500 wheels and they’re fitted with Vittoria Zaffiro 23mm tyres. 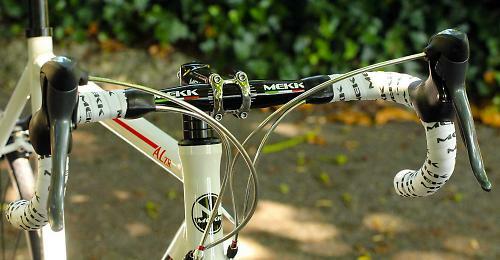 It’s Mekk branded products for the stem, handlebar, seatpost and saddle. The dual pivot brake calipers are Mekk branded items as well. A bike of this price is never going to win a competition on the scales against more expensive rivals, but at 10.42kg (22.97lb) it’s at least on the money for a bike of this price. They’ve thoughtfully specified a huge range cassette so you’ll have a fighting chance of overcoming the weight penalty on the hills. Oh, and the name Pinerolo - it’s a town in Italy southwest of Turin. Any similarity to to the name of any high-profile brand is, we're sure, completely coincidental! On the surface the Mekk is a really nice looking bike, and just goes to show that you really don’t need to spend a fortune to get a decent road bike these days. If you want an idea of what the other options look like at this price, our Best Entry Level Road Bikes Under £500 guide is a good place to look.